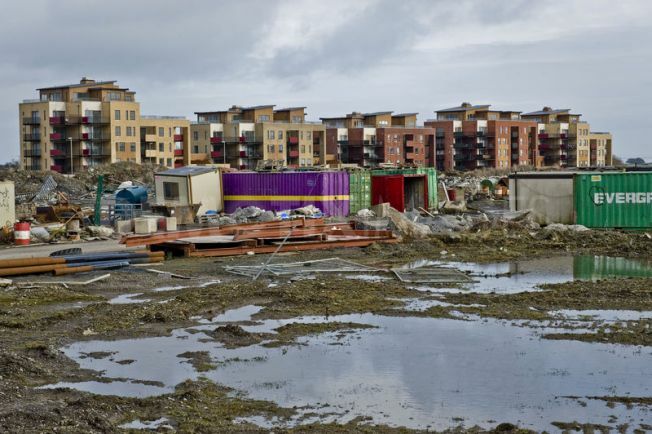 Home › General Views › Could we transform a ghost estate into a global film streetscape? Could we transform a ghost estate into a global film streetscape? Pinewood Film Studios, the home of James Bond, are planning a massive expansion called Project Pinewood. With rapidly changing technology used for film and television production there is an increasing emphasis on digital production. Just like all other industries there is increasing pressure on film and television companies to create higher quality productions on lower budgets. Despite a very vibrate film industry in Ireland throughout the nineties and in the early two thousands there was failure within the industry to invest in developing a sustainable industry. While tax incentives have assisted in bringing in many major productions throughout that period, many other countries were investing in larger studios and facilities to keep pace with a rapidly changing industry. The industry in Ireland has failed to act on this front; our entire focus has been on tax incentives on bringing production companies in here. Development of new facilities, changes in work practices and developing a sustainable industry – not the revolving door mentality we have at present we have towards crewing of productions. All these issues must be addressed if we are to keep pace with the rest of the world. Across the Irish Sea Pinewood Studios are planning to meet that changing environment to maintain their place as a key location for film production, and have come up with an ambitious scheme. The Project Pinewood streetscapes will be characteristic of European and North American locations such as Venice, Amsterdam, Prague and New York. It will offer the screen industry opportunities to film on location without the need to travel overseas in realistic recreations of locations from around the world in one “creative cluster”, next to their studio outside of London. Carbon savings – at least a 45% reduction in carbon emissions for both residents of Project Pinewood and film and television productions. Recently a native of Mullingar who lives in London and work in broadcast TV has submitted a proposal to Willie Penrose, Minister of State, Department of Environment, Community & Local Government with responsibility for Housing & Planning, which is worth considering. His suggestion is that members from both the government and the Irish Film Industry approach Pinewood Studios about moving the project to Ireland. We could offer our partially built ‘ghost estates’ to Pinewood as an alternative to purchasing and building on a green field site in the UK. Our estates are lying idle and falling into disrepair, so this would be a great opportunity for the government to find a use for them while providing a boost for the Irish film Industry. 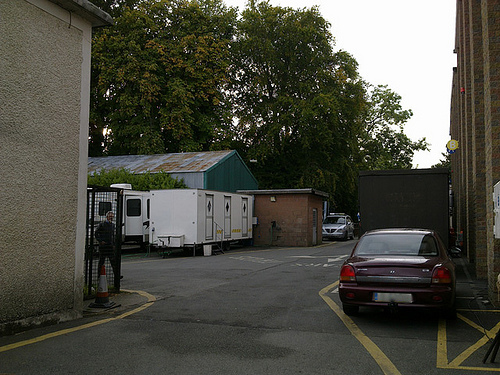 The advantage for Pinewood, is that they can convert empty or partially built houses/apartment blocks into editing suites, production offices, workshops, wardrobe and props departments and accommodation for cast and crew. Surely, as most of the estates are completed or near completed buildings, with access to broadband, electricity, water and national routes, this would be an attractive cost saving measure for Pinewood studios. The only major cost to them, is to recreate the exteriors of the buildings into facades that resemble Paris, New York, Prague, 12th century Rome or whatever setting of their choosing. This kind of construction work would go some way to getting builders, painters, plumbers and carpenters of the dole queue. I am aware that there is probably no one ‘ghost estate’ that could accommodate the plans in the links above, but we could offer estates in close proximity to each other. Who knows, we may even achieve something to rival Hollywood, that stretches from the M50, along the M4 towards my home town of Mullingar. Click here Concerns over possible Pinewood move to Asia. This is an ambitious suggestion but it is not impossible and with an effort from both the government and Irish Film Industry we should approach Pinewood about what I have outlined above. What have we to lose? If they are not interested, the ideas still stands and maybe approach studios in Hollywood. I would welcome your comments please. ‹ The RTÉ Vanbrugh Quartet will be making their first visit to the Church of Ireland in Lucan.